The Tempe Festival of the Arts is a well-loved community event that showcases art, live entertainment, food and beverage. 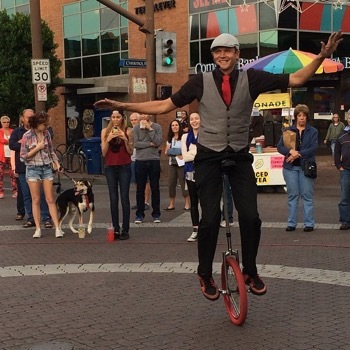 More than 300 artist booths will fill the streets of Downtown Tempe over a course of a 3-day weekend. 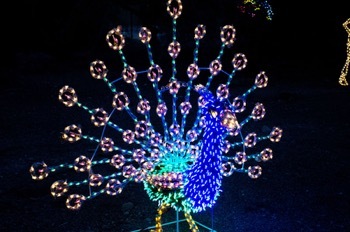 ZooLights is a magical event that will illuminate your holiday season. 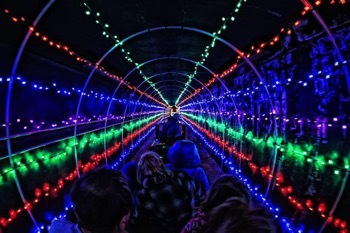 The nightly evening viewings feature millions of lights, hundreds of sparkling displays throughout the zoo and more activities and performances. Take a train ride through many festive holiday lights and displays turning the Railroad Park into a winter wonderland. The event’s centerpiece is a train ride on the Paradise & Pacific Railroad through a winter wonderland of lights and displays. Take a ride on the historic Charros Carousel and visit the park’s one-of-a-kind Model Railroad Building. 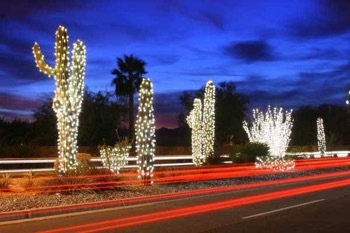 From after Thanksgiving until the New Year, Chandler Boulevard from 24th Street to Desert Foothills Parkway is illuminated with more than a million white LED lights. The incredible desert landscape is decked out with miniature white lights and with clusters of white strands high amongst the treetops. 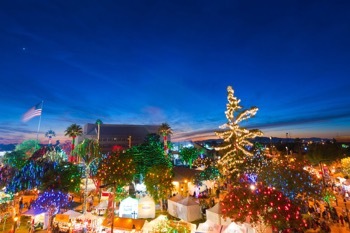 Glendale’s award-winning holiday lighting event has become a family tradition across the Greater Phoenix region and state. The stunning display of 1.5 million lights illuminates 16 blocks of Historic Downtown Glendale, making it the largest free holiday light display in Arizona.